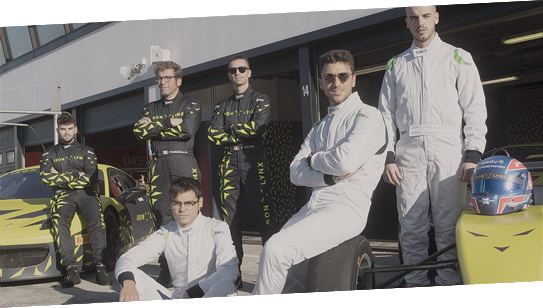 If you take an active part in racing, if you aim at the most important circuits in the world, if you want to improve your driving performances for professional purposes and also give value to your passion, if you think big, we are waiting for you. Obsessed with performance, our goal is to transmit high-level know-how to the one who drives today and that will drive tomorrow. IRON LYNX introduces itself in the international motoring scenario. Based in Cesena (Italy), it offers the widest range of services focused on the driver and the automotive product: Driving Academy, Exclusive Events and Incentive Agency, Gentleman drivers Club, a Garage for storage, maintenance and management of top cars, Testing & Support for automotive product development, Training Center for mechanics and racing engineers. Thanks to the obsessive attention for details and to the in-depth knowledge of this extraordinary sector, we are able to instruct promising young drivers and gentlemen drivers towards the maximum performance and its emotions; a specialized support for motorsport professionals; a range of specific advice for automotive players; services tailored for specific needs. On the track. You and your coach. A day of testing, a race weekend, an entire season. He always supports, observes, and advises you; follows you by radio and analyses, together with you, videos, telemetry, set-up and strategies. To maximise your performance. To aim for victory. An award day for your managers, clients and partners. Theory, performance behind the wheel, driving on the track. An extremely flexible format to be configured according to objectives and needs. To entertain, excite, share and train. A fundamental tool for competitions' formation. Choose the Formula or Gran Turismo body and select the circuit, then ... get to know the track and improve the driving technique, inch by inch, bend after bend; braking points, lines, accelerations, gears, engine rpm ... everything becomes clear and familiar. Reality has never been so close at hand. The exclusive gentlemen driver Club dedicated to owners of exceptional racing and road cars. Reserved services and dedicated initiatives to make you live the track like a professional driver. Entrust us with your passion. We'll take care of the rest. 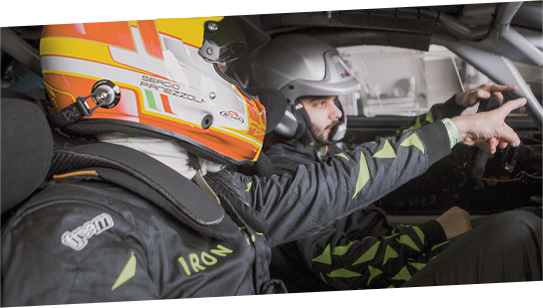 Iron Lynx offers itself as a reference partner for players in the automotive world. We test the product in detail, we support you to develop it, to optimize its extraordinariness, we organize exclusive events to highlight the uniqueness and win the applause of potential customers. An absolutely perfect product, for a very memorable product launch.